Word games have always been very popular. Even centuries ago, people enjoyed many different kinds of pastime activities which included the manipulation of letters and words to a certain goal. In the 20th century, this trend became even more widespread with the invention of popular tabletop or board games which used the same principle. The reason for their popularity is the fact that they are both fun and can be used as a great learning tool for children. A company called JKL Technologies decided to take word games to the mobile device market. Their game called Vocabul Jumble was developed for the Android operating system and devices like tablets and smartphones and is available on Google Play for download. 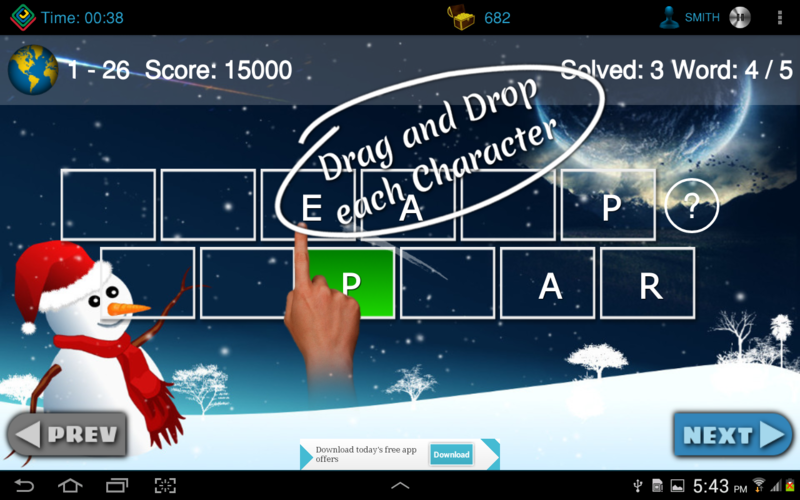 In essence, the app is a word game which can be enjoyed by kids and adults. The application holds a database which includes over 10 thousand words which offer hours of possible game play time. Importantly, these words will help children to broaden their vocabulary and learn new terms and words, which will only enhance their verbal intelligence. 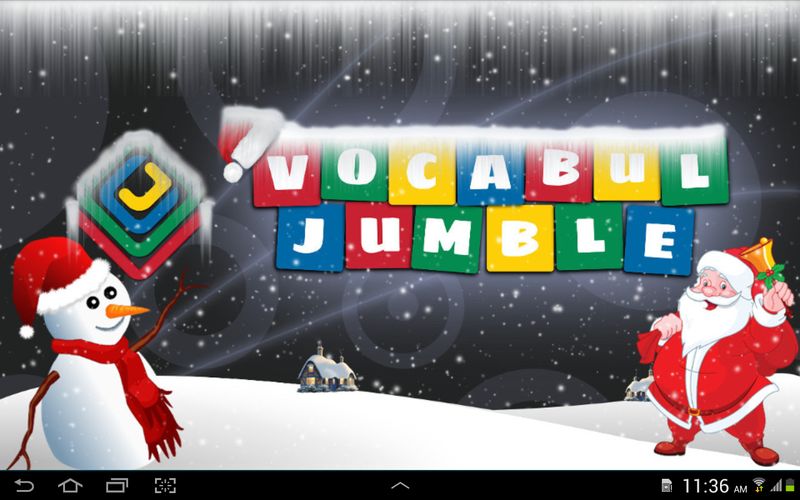 Vocabul Jumble offers several levels of difficulty, so young player will not be turned back from the game. Instead, they can slowly get better, score big points, collect valuable items like coins and get ratings in the form of stars for every level they master. The option to play the game in a mode which includes more users will also add to the fun of it all, so that the player can compete against their loved ones like family members or friends. The game itself can be played against the clock (a mode which includes a limited amount of time) or in a relaxed manner, where speed is not important, and players can take their time. The coins collected in the game can offer a help to the player in the form of hints in several different game modes. One is a word manipulation option where the players use their abilities to combine and permutate. Others are presented in the form of anagrams or some other kind of verbal thinking process. Its dynamic and easy going visual design will allow its users to fully appreciate the games themselves, and focus on the words. Unlike similar games made by competitor development teams JKL Technologies realized exactly where the emphasis of the game should be placed. Colorful visual themes include an Ocean, Oscar Awards and several more graphic environments which make the visual side of this word game app come to life. When it comes to the Android devices, Vocabul Jumble can be defined as an ideal word game application.Its development team created it so skillfully that the final product does not include even a single problematic element. Because of this, the app provides a very smooth and fun gaming experience.